Here’s a cool infographic from InSinkErator. I hope you enjoy it! 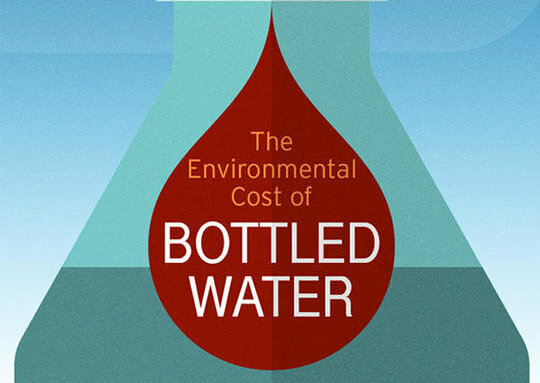 It might be handy to buy a bottle of water when you’re out, but research shows that the convenience of bottled water has a high environmental cost. The amount of water used to manufacture a single plastic bottle takes three times as much water as the finished bottle will contain. The quickest and easiest way to combat this is to avoid buying bottled water. Reuse plastic bottles as much as possible and recycle them when you’re finished. If you often get thirsty when you’re out, take a flask with you – this will save you money as well as saving water and plastic. The use of food waste disposers to get rid of your leftover food and other disposer-friendly rubbish such as tea bags, is another good way to save water. As much as 75% of food waste consists of water, so waste disposal units (or even better a home compost tip) work to reduce pressure on already strained processing sites across the UK. And if you’re bogged down with plastic water bottles you don’t know what to do with? If you’re feeling creative you can upcycle your plastic water bottles – they make ideal indoor garden planters for growing herbs. What do you think about the growing trend to avoid plastic? Leave a comment below!